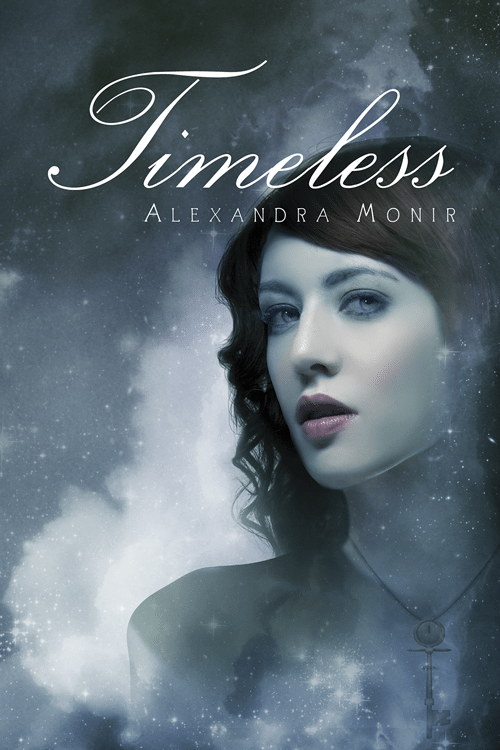 This sequel to Timeless combines breathtaking romance with a tale of complex magic in a story that will have every reader believing in the transcendent power of love. Walter and Dorothy Windsor lingered over their afternoon tea, peacefully unaware that the one they feared had stolen through the gates to their home. As Walter thumbed through the New York Times and Dorothy hummed along to the symphony echoing from the nearby radio, the girl in black strode up the white stone steps and turned the knob of the front door, unseen by the Windsor Mansion’s household staff. While her footsteps echoed through the Grand Hall, Walter sweetly reached over to touch his wife’s cheek. It had been so long since they’d been happy, and now, with their granddaughter finally in their lives, it seemed they might be getting a second chance. Suddenly the library doors swung open, and all the light left the room. Dorothy let out a strangled scream, clutching Walter’s hand. Hot tea streamed painfully onto Walter’s legs as he knocked over his cup in shock. For a moment the only sound was the frenzied crescendo of the piano and strings from the symphony playing on the radio, until Walter found his voice. The door slammed shut and Rebecca Windsor stalked toward them, her mouth curved in a knowing, mirthless smile. Even as Dorothy cowered in her husband’s arms, she couldn’t tear her eyes away from Rebecca, unable to fathom how a woman long dead could so realistically appear to be herself at age seventeen. She looked just like her chilling portrait from the Windsor family album of 1888, with the same angular pale face, steely dark eyes, and black hair piled onto her head in a fashion that accentuated her sharp, unwelcoming features. The folds of her voluminous Victorian dress swathed around her like drapes of armor. She looked terrifyingly alive, yet there was a translucence to her appearance that made her almost inhuman. “Why are you here?” Dorothy burst out, her voice thick with tears. “We did everything you asked—you said it would keep her safe, but you lied! Our daughter is dead because of you!” Her whole body shook with agony as she remembered the last time she had seen Rebecca, and the horrors that had followed. “You failed,” Rebecca said coldly. “You failed to keep Marion away from Irving, and that is the reason why she is dead, and why we now have Michele on our hands. You were supposed to prevent the girl from being born, not bring her into my house to live!” Her voice rose with fury. “The only family she has? You must be forgetting her father,” Rebecca hissed. “Now that you’ve gone and brought her to New York, it’s only a matter of time before she finds him. The girl has inherited Irving’s talent.” She spat out the word. Walter and Dorothy stared at each other, aghast. Dorothy covered her mouth with her hand as if she were going to be sick. “We won’t hurt our granddaughter,” Walter snapped. Suddenly, a loud crack sounded in the room. Rebecca reached up in alarm, grabbing at her face, but it was too late. The youthful layers of skin began to peel off, disappearing piece by piece as they fell to the floor, leaving behind a pockmarked skeleton of a face crumpled with wrinkles. Her body shriveled and shrank, a tall teenage frame transforming into that of a grotesque old woman in her last breath of life. Dorothy buried her face into Walter’s shoulder, horrified by the sight, but simultaneously feeling a flicker of relief as she remembered from years ago that Rebecca was forced to slink back from where she’d come when her youthful façade faded. Only this time, Rebecca’s face betrayed no hint of defeat. Rebecca’s image wavered above them before disappearing into a spinning wind. Walter and Dorothy clung to each other, their faces stricken. “What are we going to do?” Dorothy whispered. Michele Windsor dreamt of an antique grand piano in a gilded music room. At first the piano stood alone—but moments later Philip appeared, seated behind the instrument with his fingers resting contentedly on the keys. He began a bluesy ragtime piece, his signet ring catching the light as he played with a passion that could bring chills to even the most callous of people. He seemed to be asking a question as he played, hoping to find the answer in the melody. Michele stepped out of her shadowy corner of the room and caught Philip’s eye. His face lit up and he gave her his slow, familiar grin, changing the tune to the song he always played for her, Schubert’s Serenade. Michele sat beside him, and after finishing the song, he raised her hand to his lips. “Didn’t I tell you I would find you again?” he whispered. Michele smiled and tilted her face toward his, tingling in anticipation of his kiss. In this moment, he was all that existed. Michele awoke from the dream, her body still warm from his touch. The sensation of cold linoleum prickled against her skin and she realized with confusion that she had somehow ended up on the floor. “She’s awake!” a familiar voice cried out in relief. 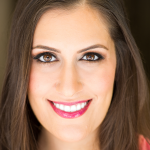 It took Michele a couple of moments, but she recognized the voice as belonging to her closest friend in New York, Caissie Hart. She felt strong hands gripping her shoulders and glanced up to see Ben Archer, one of the jock stars of the junior class, pulling her up to a sitting position. “Michele, can you hear us?” Ben asked urgently. “Wha—happened?” Michele managed to croak, her throat feeling like sandpaper. “You passed out,” came the deep voice of Mr. Lewis, Michele’s history teacher. He stood above her, his face creased with concern. Through her blurred vision, Michele could make out the rest of the class crowding around behind him, all of them eyeing her curiously. She felt her face redden in embarrassment. It was bad enough being the new girl with the famous last name; now she could add “the girl who randomly faints in the middle of class” to her list of attributes. She had a feeling the stares and whispers were going to follow her even more than usual. “It happened right after the new guy arrived,” Caissie whispered in Michele’s ear, giving her a funny look. With a jolt, Michele remembered the boy who had walked into class minutes before. He’d been the spitting image of Philip Walker, bearing the same name and even wearing his ring. It couldn’t have been him, Michele thought desolately. I must have imagined that the new guy was Philip. Still, she felt her heartbeat quicken as she looked up, secretly hoping that Philip Walker might be somewhere among her classmates. She immediately saw a lone figure standing off to the side. Michele gasped, covering her face with her hands in shock. She peered through her fingers, and he was still there—Philip. Time momentarily stood still as Michele’s disbelieving mind drank in every detail, from his beautiful piercing blue eyes to the thick dark hair that she had once run her fingers through, the tall and strong body that had held her close, and the lips that sent shivers down her spine with every touch. She hadn’t been imagining things—it was him! But how could he possibly be here, in Michele’s own time? Weary from fainting, she tried to stand up but found that she could barely raise herself off the floor. Her body seemed frozen, but she could feel a hot current of electricity coursing through her. “Philip,” she murmured, reaching out her hand. A few of the students snickered, while Ben turned to her with a bewildered look; Michele barely noticed. She stared at the resurrected Philip Walker, who inexplicably ignored her outstretched hand, not coming any closer. But he was watching her, his eyes searching. “I’ll help you,” Ben offered. Throughout the exchange Michele was barely present, unable to take her eyes off Philip. She felt an ache from being so close and yet unable to touch him. He was just standing there, making no effort to come near her, and Michele felt her first flare of doubt. What if she was imagining things? Could it be a mere coincidence that he looked just like her Philip, that the two of them shared the same name? But then she remembered the signet ring on his finger—and Michele felt certain that Philip Walker had found a way back to her, just as he had once promised. in her Time. She reluctantly followed Caissie, and as soon as they were in the hall and away from prying eyes, Caissie yanked her into the nearest restroom, her expression rattled. Before answering, Michele quickly threw open each of the bathroom stall doors to make sure she and Caissie were alone. When she turned back to Caissie, her friend was staring at her as though contemplating whether Michele might have officially gone off the deep end. “It’s not just his name, it’s him. Philip is back,” she said breathlessly. She swallowed hard. Philip’s return was a miracle—she couldn’t bear the thought that it might not be real. “Maybe he doesn’t want to let on to everyone else that we already know each other? I just need to talk to him. Come on!” With a shot of adrenaline, Michele grabbed Caissie’s hand and pulled her out of the bathroom. Michele hesitated, and Caissie wrapped an arm around her shoulder. “It’s okay. He’ll still be here when you get back,” she said with a slight smile. It was only when they reached the nurse’s office that Michele remembered what she had seen just before fainting: a dark cloaked figure sweeping past the classroom window, seconds after this new Philip’s appearance. Though she didn’t understand why, the sight had frozen her with terror. 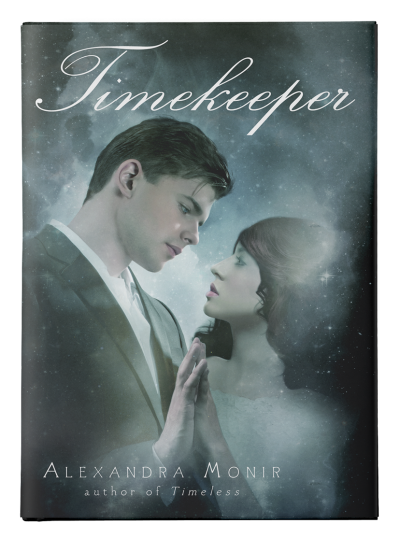 Excerpted from Timekeeper by Alexandra Monir. 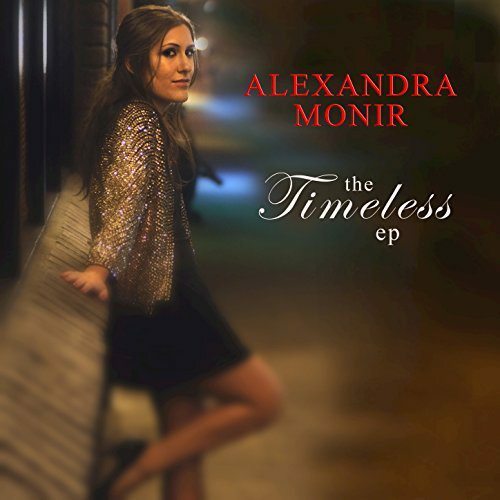 Copyright © 2013 by Alexandra Monir. All rights reserved. No part of this excerpt may be reproduced or reprinted without permission in writing from the publisher. When Philip Walker appears as a new student in Michele Windsor’s high school class, she is floored. He is the love she thought she lost forever when they said goodbye during her time travels last century. Overjoyed that they can resume the relationship they had a lifetime ago, Michele eagerly approaches him and discovers the unthinkable: he doesn’t remember her. In fact, he doesn’t seem to remember anything about the Philip Walker of 1910. Michele then finds her father’s journals, which tell stories of his time-traveling past. 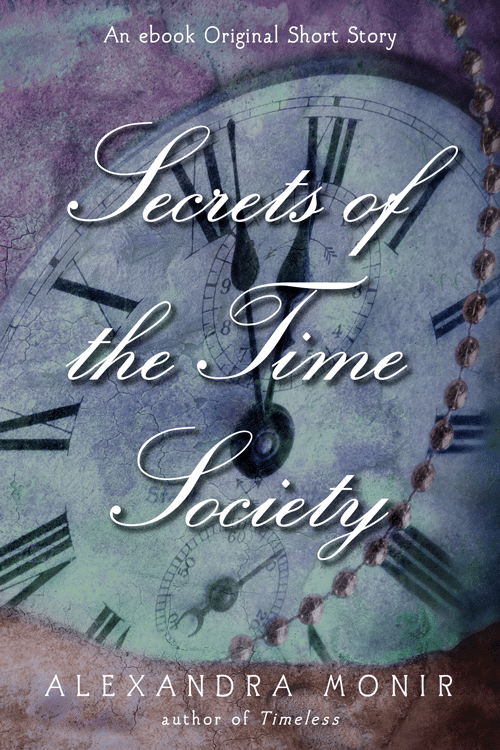 As she digs deeper, she learns about his entanglement with a mysterious and powerful organization called the Time Society and his dealings with a vengeful Windsor ancestor. 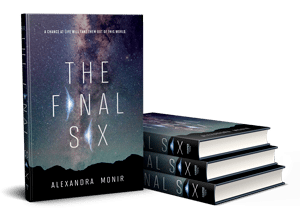 Michele soon finds herself at the center of a rift over 120 years in the making, one whose resolution will have life-or-death consequences. 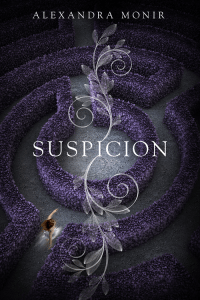 “I absolutely love this series! The writing is flawless and smooth. It felt like I read this book from start to finish in seconds. 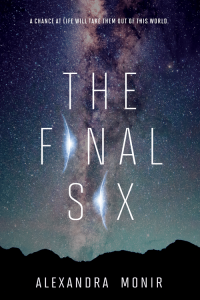 Huge fan of this Author, I only hope she continues.” —Mimi Z. 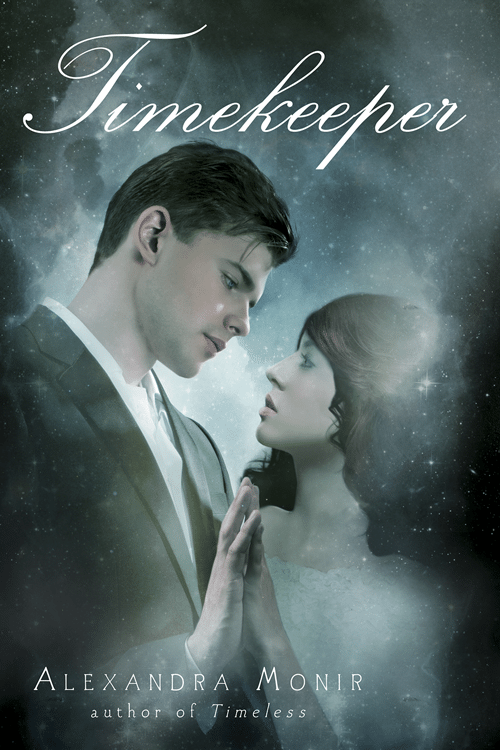 “Romantic, haunting, fabulous inclusion of time-travel, a treacherous villian, a young girl who knows what she wants, a young man who is determined to help the love of his life (no matter what century she is in)… what more could you ask of a book except another sequel?” —Meg M.
“A love story for all ages. 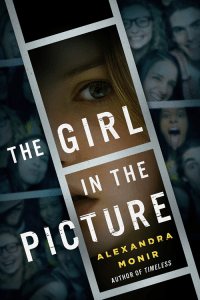 The writing is captivating; the descriptions, transporting; the emotions, as mixed and vibrant and authentic as a teen-ager’s.” –Terin M.